From A4 highway (Milan-Venice) exit at Montecchio Maggiore’s tollgate if coming from the east, or exit at Montebello if coming from the west. Follow directions towards Arzignano and then towards Chiampo. 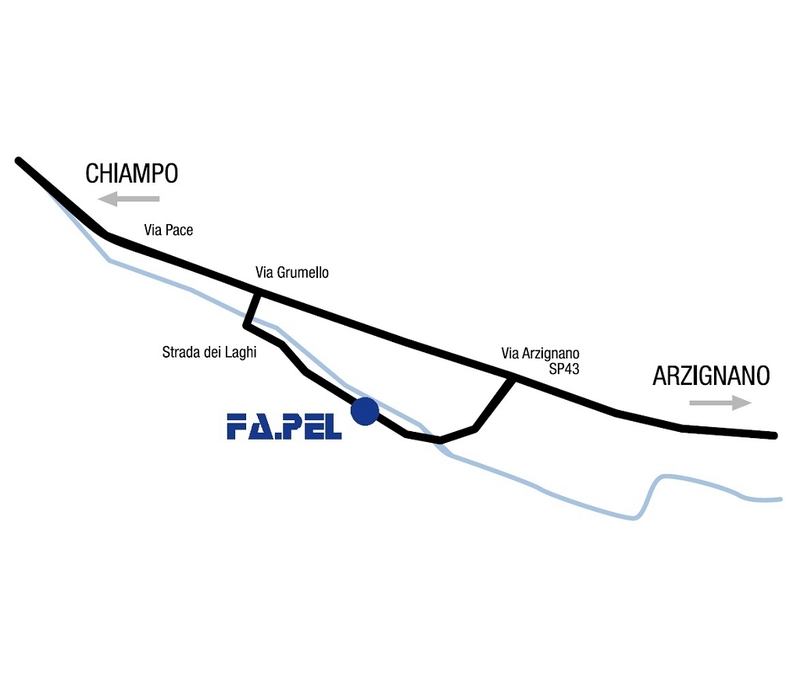 FA.PEL Srl is located in Strada dei Laghi, 65 Chiampo (VI) (in the new industrial area).